Tom Dokken doesn’t need much of an introduction. He has been among the best of the best in the hunting-dog-training world for decades. Besides Dokken’s Oak Ridge Kennels, Tom has a dog-supply company, and if you have ever thrown a bird-shaped DeadFowl training dummy for your dog, you’ve used one of Tom’s revolutionary training tools. He has written hundreds of columns and several books and has given a thousand interviews, seminars, workshops and speeches, all revolving around bird dogs. 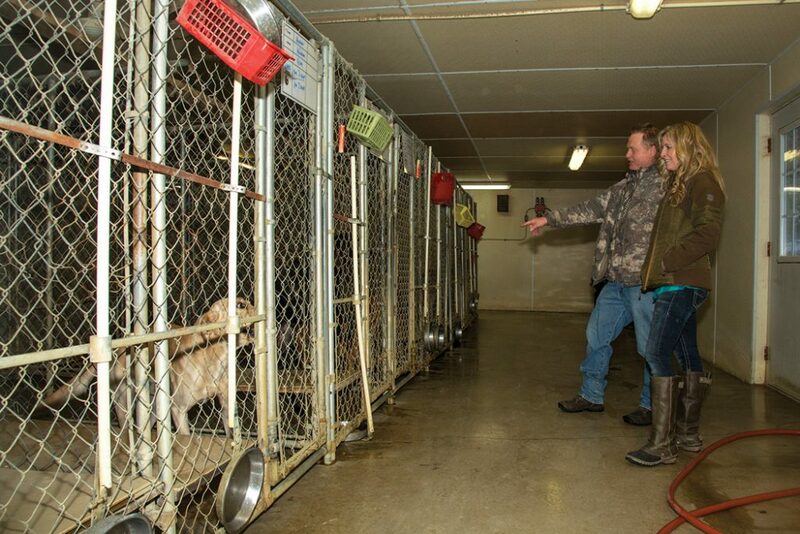 I had a chance to sit down with Tom and his wife, Tina, at their Oak Ridge Kennels, in southern Minnesota. When you have the chance to interview people like the Dokkens about pheasant dogs, you don’t hesitate. The first thing I discovered is that Tina is as critical to the success of Oak Ridge Kennels as Tom is—maybe more so. He’s the trainer par excellence, but Tina is the inspirational leader. Everyone at the place lights up when Tina is around. Frankly, it’s hard not to light up when you are constantly surrounded by bird dogs and bird dog pups, but it’s even livelier when Tina is in the house. Tom, however, is the sage of dog trainers. When Tom speaks about dogs and dog training, people drop everything and tune in. You never know what pearls of wisdom might fall when Tom is speaking, even casually, to other dog people . . . .
Keeping the dogs happy keeps things moving forward. KEITH CROWLEY: What advice do you give to people looking specifically for a pheasant dog? TOM DOKKEN: Find a breed you want first. Decide: Am I a pointing-dog guy; am I a retriever guy? Find the breed, then buy the best breeding you can. The extra that you spend right off the bat is minimal when you look at it over the 12 years or so that you have the dog. We train everything, so we can be impartial; and we know that breeding is the single most important thing you can do. And there aren’t a lot of ways to quantify other than field trials. By having those field-trial titles, you know what the parents, grandparents and great-grandparents had to do. It gives you that benchmark. Some people say, “I don’t need a field-trial dog.” Well, no, but you want the bloodlines that are going to be strong back there. And then you’re not only buying these dogs normally with that better bloodline; you’re buying smarts. Those dogs had to be extremely intelligent to do what they did. And that’s not just hunting. If he’s smart enough that he learns housebreaking quicker, he’ll learn everything quicker. How early are you introducing dogs to birds? We’ll start them on a wing at seven weeks. All we want to get them doing is picking up a wing and carrying it. And all we’re doing is bringing that instinct right up to the surface. They’re canines, right? They’re predators. It’s right there right away. Now, all we want to do is break it out and let them use it. Let them use that instinct. And you don’t have to do it every day, but we’ve now got that out of the box. If you don’t, it starts getting under the surface; and every month that goes by you’re trying to pull it up. So we do a wing and get them picking it up and playing. And then what I like to do is put a wing on a string and a rod—even for these retrievers—and I’ll scamper it. They love catching it. They think: That’s alive; it’s trying to get away! You’re just encouraging what’s already there. It’s prey drive that you’re encouraging. You have to get it out in the open where they can use it. A couple of months down the line we’ll be doing frozen pigeons, then we’ll do live-clipped ones. But just that little wing chase and the catch when they’re babies. I don’t want them to get hit in the face by a live bird. When do you introduce clipped-wing pigeons? For live birds, we’ll do it when they’re five months old. And the reason we do that is at five months they have their permanent canines; they’re not teething. So you don’t have a dog that is hesitant to pick things up. When they’re too young, it’s partly just being away from home. And then they’re so young that you need a little bit of repetition to go. They don’t have the focus. At five months they’re super focused, but it just seems to be that magic period. Do you encourage people to let pups tag along with an older dog, to kind of learn the ropes from the experienced old hunter? We tell customers this: Once we introduce these puppies to birds and the gun when they are five months old, I would prefer that you go to a game farm. You flag where you just put your birds out, and get your young pup in there. Let him flush and retrieve. What happens if you have an older, aggressive dog is that he’s going to get all the retrieves. And then the young pup goes, That’s OK; I guess you can get the retrieve. And then so what you are doing is actually kind of cutting the puppy out of the experience he should have. When the bird gets up, he gets it. I want everything that happens to happen just for the puppy. And if you were hunting wild birds, I’d say don’t take him on his first hunt where you have a bunch of cattail sloughs, because 10 minutes later he’s going to be walking behind you. To the pup, this is really hard. He’s like, Dad, why did you put me here? Make it easy. Create a winning situation. Do you have one moment that leaps out as a very special one you’ll never forget with any one of your own dogs? TINA DOKKEN: Sage! When you and Bruce and Clay were looking for a cripple. 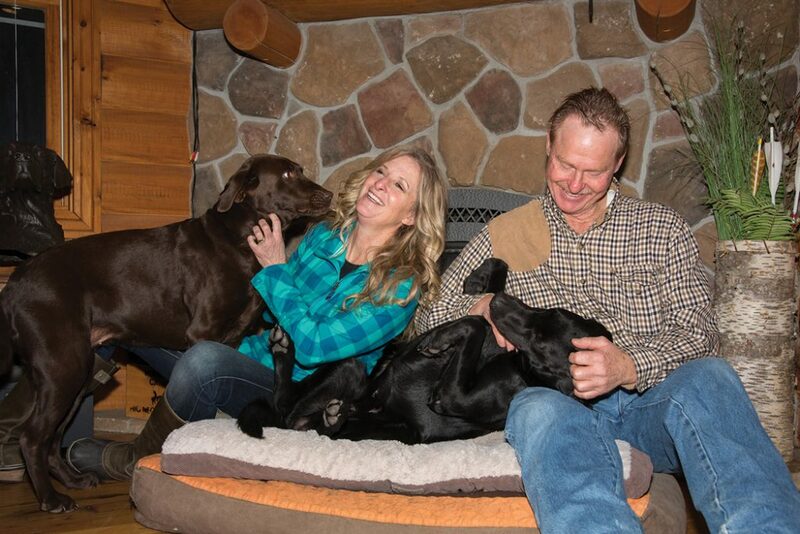 Tom and his wife, Tina, own Dokken’s Oak Ridge Kennels, in Minnesota, where they host and train all different breeds of hunting dogs. They also produce their own line of Labrador retrievers. TOM DOKKEN: Oh, yeah. Sage is Tina’s dog, but we were out in South Dakota hunting and probably had four or five dogs out there. And they weren’t young dogs, either. We knocked a bird down in this grass, and the dogs are hunting all over trying to find this thing. All over, and they just can’t come up with it. I went back to the truck, and I didn’t have Tina’s dog Sage out then. I said, “Let’s just bring her out, so we have a little more dog power looking for this bird.” And these others dogs are all running around looking, looking. Sage goes over about 15 steps and grabs this bird. Is this what you were looking for? She was looking at us like, Are you kidding me? And that’s what she was thinking: Are you kidding me? All you dogs and people couldn’t find this bird? And years ago I was with a friend in Iowa hunting with his dog, which I had trained. And it was one of those deals where he was a young dog, and a bird got knocked down. The dog runs over there—probably 30 yards from where he was—and he’s hunting around, hunting around. It’s got to be here. And all of a sudden off he goes. And he was a young dog, too, which was really, really surprising. And he trailed that bird for three-quarters of a mile. And we’re kind of at this higher point, and we just watched it happen. Those are things that you can teach, but that dog hadn’t had a bunch of schooling in it. The neat part of hunting is you just never know what you’re going to see. But how can you go without a dog? You can’t go without a dog! I’ve had people say, “You know, I don’t know if I’m going to get another dog.” We all go through this. It’s so hard on you to lose them. This guy I know went a year without a dog, and he went pheasant hunting with some buddies who have dogs. He said, “You know what? I just felt like I wasn’t part of what we were doing.” And you’re not, because the dog brings that much to the table. You can duck hunt without a dog. And you can grouse hunt without a dog too. Pheasants—there is no chance. I mean, how many times have they found birds you never could have. 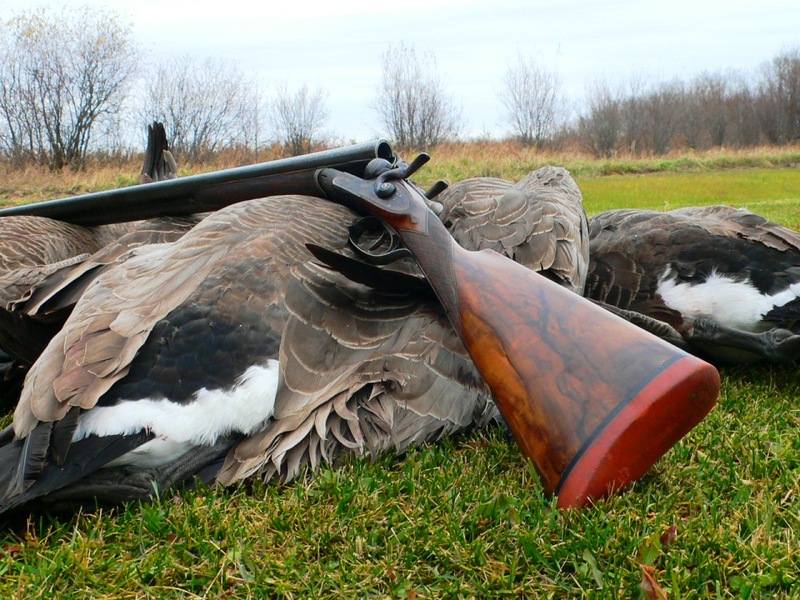 How would you feel if every time you shot a limit of birds you lost 50 percent of them? The joy is in watching the dog do its thing. Shooting is an afterthought. But watching the dog . . . .
And then how excited are they to do it? I mean: They live for that part. Plus they force you to go. They always want to go. You always have a hunting partner. And even from a family standpoint, these dogs are thinking, Are we going for a walk, or are you just going to sit around? So they keep you engaged. People miss that, and they won’t know it until they’ve gone without a dog for a while. And then they go, No, we have to have one! I’d like to talk British Labs versus American Labs. What is your experience? I’m sure you have both in your system. Do you see distinct differences in the way they perform in the field? The biggest difference that you see is when you look at what the use is for an American-bred dog and a British-bred dog. Let’s go back to their trial system, because that’s how we talk about the bloodlines. When you say a non-slip retriever, that means it’s marking. We say, “Sit,” and the dog has to watch something fall . . . be patient. Make the retrieve and come back. So their system is really built on a dog that is extremely steady. They may line up a dozen dogs, and that would drive most American dogs crazy. They all want to go make the retrieve. That being said, you have to breed to have enough drive to want to go. But if those dogs are not steady or have a lot of what the British call “line manners,” when the dog is just over the top, they’re judged down. As you evolve in a breeding program, you have to find that happy medium: a dog that’s calm but has drive. That’s not always easy to get. So when you look at the particular situation over here, our field-trial system is geared for drive, although you have to have all of the control to go with it. Drive, drive, drive training techniques. Maybe they’re going to develop this control thing over years and years in Britain. We’re going to try to develop it in a shorter period of time. That just kind of seems to be the American way. And then our dogs are geared to upland. We train [British and American Labs] here, and I would say if there is one difference, it would probably be the British dogs are calmer. It’s a temperament thing. So does that make British dogs inherently better as house dogs? Here’s my answer to that: You can breed for it, or you can say, “This is how you’re going to act when you’re in the house.” You can train for it. But even if you breed for it, you have to set a standard. So I always tell people: “When you get a puppy, there are no bad habits here. When I hand this puppy to you, there are zero bad habits. Now, you can put in anything you want, but there’s nothing wrong with this puppy right now. If you start things right, right off the bat, it’s the dog’s job to adapt to your lifestyle—not your job to adapt to theirs. And they do—because they’re really pack animals—that’s a result of training them that this is what we expect of you. When we put the food down, we expect you to wait for it. When we go out the door, we expect you to wait for that. When you come in the door, you wait. But that’s not natural. That’s something environmental, something trained. The owner decides that this is what I expect from the dog. And so whether it’s British or American, it doesn’t make any difference. I would say you still have to have some structure, but then you get back to having enough drive that you want to work. So the whole thing is that balance. And they’ve been breeding for that in Europe for years and years and years. Over here, let’s say, we take a dog that has drive. We can do the manageability part. We can bring them in to tamp it down a little. I don’t consider it a big argument one way or another. If we have a guy who hunts big lakes for waterfowl in November, that’s a certain kind of dog. I mean he has to have a dog where that drive level is high enough that he’s not going to just bag it when it’s really cold. Or there might be a guy who goes hunting once a year and hunts a little bit in the middle of October. He needs a different kind of dog. I would say, too, that when somebody says, “I don’t need a really good dog, because I don’t hunt that much.” No, I say you need a great dog! You need the best dog I’ve got, dude. You can kind of understand where they’re coming from, but do you want them to hunt well when you do hunt them? Then you have to have a great dog. 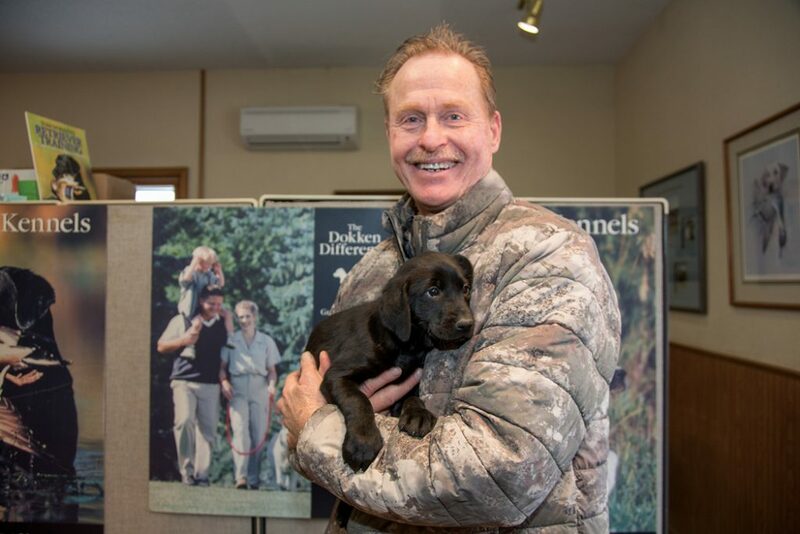 Ron Schara [host of Pheasants Forever’s TV show The Flush] is quoted as saying: “With Tom, you bring a happy dog to him for training, and you get a happy dog back. That says a lot about Tom.” Is that why you’ve been so successful? I think success means getting dogs to end up working the way you want them to work. And you can either have them working with you and for you—or you can have them working against you. So the key is you always start off by doing something fun, then do a little bit of work, then fun, a little work, fun, a little work, fun. And you always put them away after doing something fun. So the first thing that they’re expecting when you take them out is to do what? Something fun! You do a little work and fun. A little work and fun. Lots of short little breaks. The last thing you did before you put them away? Fun. If you put them away and they had some discipline at certain points—discipline will come into it—and you do that several days in a row, some people go: You were challenging me all day. I’m going to get after you, and then put you in the kennel. And I want you to think about it. Dogs don’t go in there and think, Well, geez, I’m really sorry. Dogs live in the moment. They don’t live in the future. They don’t live in the past. They live in the moment. They do. At some point your work sessions can get a little longer and your breaks a little shorter as you move forward. It gets you to the point where, as you start teaching, you teach the dog what you want—that repetition. And then gradually you get to the phase of reinforcement. And every dog’s different on what discipline is necessary. But you always start off with the lightest amount, whatever it might be, and your dog will gradually tell you, once he understands what he’s supposed to do. Let the dog tell you, because if you start with heavy discipline, it’s most likely too much. And what discipline this dog would need would be way different than the other. Keeping the dogs happy keeps things moving forward. And let’s face it: People want to know that they’re sending their dog somewhere that the dog is getting trained but he’s also having fun. You can tell: If a dog has his tail between his legs, he’s doing obedience, and he’s probably not having fun. You’ve got to be fair to the dog. We tell our customers that they’re going to take home the same dog they dropped off, but we expect the dog to listen. And they like that. It’s like, Hey, this is our buddy—we want that. And we stress that with all of our trainers. Really, to do the best, it’s year-round. It’s not 10 minutes before the hunting season. It’s year-round. If you’re passionate about it, it’s a lifestyle. It adds so much to the experience. Tina and I are fortunate enough that we’re passionate about the same things, and the dogs just kind of bring everything together. We’re really lucky. 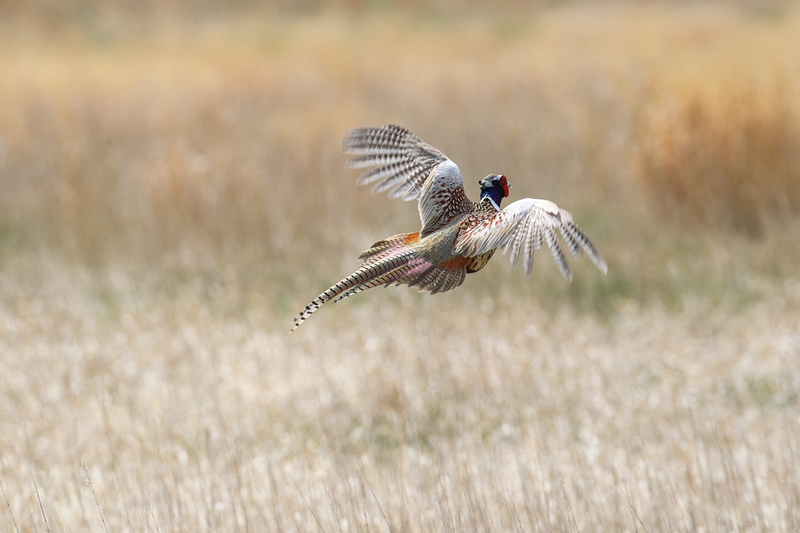 This article is an adapted excerpt from the book Pheasant Dogs, by Keith Crowley, which is due out this fall. For more information, visit pheasantdogsbook.com. Keith Crowley is a freelance writer, photographer and lifelong hunter from northwest Wisconsin, where he lives with his wife and bird dogs. Pheasant Dogs is his third book. He also is the author of Gordon MacQuarrie: The Story of an Old Duck Hunter and Wildlife in the Badlands and was a contributing writer for A Passion for Grouse. You can view his sporting and wildlife photography at crowleyimages.com. Good article. Fun…some trainers are too heavy-handed. In three years the Lowcountry Annie Oakleys Charity Clays tournament has raised nearly $500,000.